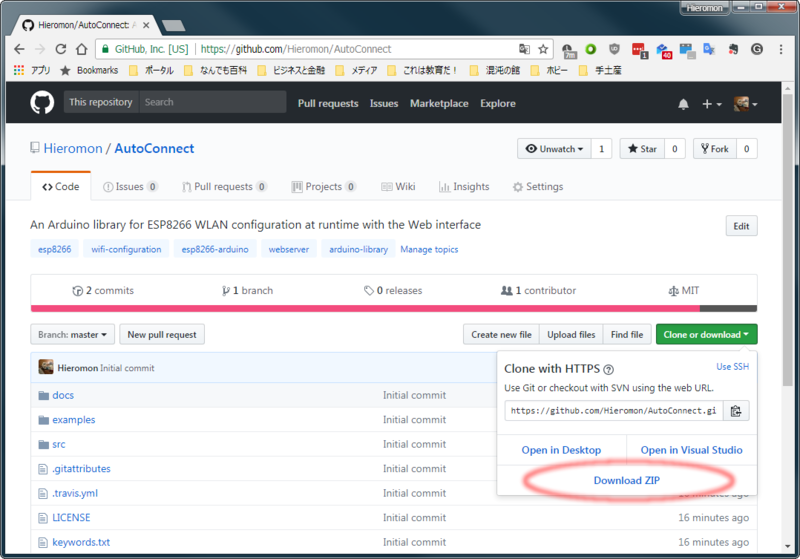 An Arduino library for ESP8266/ESP32 WLAN configuration at run time with web interface. To the dynamic configuration for joining to WLAN with SSID and PSK accordingly. It an Arduino library united with ESP8266WebServer class for ESP8266 or WebServer class for ESP32. Easy implementing the Web interface constituting the WLAN for ESP8266/ESP32 WiFi connection. With this library to make a sketch easily which connects from ESP8266/ESP32 to the access point at runtime by the web interface without hard-coded SSID and password. It is no needed hard-coding in advance the SSID and Password into the sketch to connect between ESP8266/ESP32 and WLAN. You can input SSID & Password from a smartphone via the web interface at runtime. AutoConnect control screen will be displayed automatically for establishing new connections. It aids by the captive portal when vested the connection cannot be detected. By using the AutoConnect menu, to manage the connections convenient. The connection authentication data as credentials are saved automatically in EEPROM of ESP8266/ESP32 and You can select the past SSID from the AutoConnect menu. AutoConnect can be placed easily in your sketch. It's "begin" and "handleClient" only. The sketches which provide the web page using ESP8266WebServer there is, AutoConnect will not disturb it. AutoConnect can use an already instantiated ESP8266WebServer object, or itself can assign it. This effect also applies to ESP32. The corresponding class for ESP32 will be the WebServer. You can easily add your owned web pages that can consist of representative HTML elements and invoke them from the menu. Further it possible importing the custom Web pages declarations described with JSON which stored in PROGMEM, SPIFFS, or SD. The AutoConnect sketch size is relatively large. Large flash capacity is necessary. 512Kbyte (4Mbits) flash inclusion module such as ESP-01 is not recommended. AutoConnect requires the following environment and libraries. AutoConnect targets sketches made on the assumption of ESP8266 Community's Arduino core. Stable 2.4.0 or higher required and the latest release is recommended. 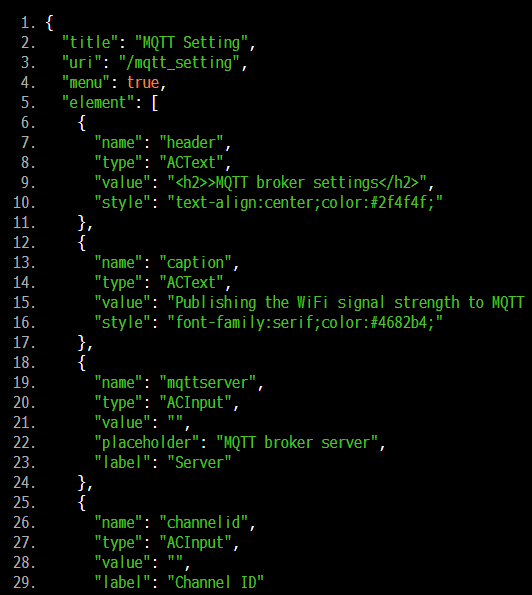 By adding the ArduinoJson library, AutoConnect will be able to handle the custom Web pages described with JSON. Since AutoConnect v0.9.7 you can insert user-owned web pages that can consist of representative HTML elements as styled TEXT, INPUT, BUTTON, CHECKBOX, SELECT, SUBMIT and invoke them from the AutoConnect menu. These HTML elements can be added by sketches using the AutoConnect API. Further it possible importing the custom Web pages declarations described with JSON which stored in PROGMEM, SPIFFS, or SD. ArduinoJson is required to use this feature.2 AutoConnect can work with ArduinoJson both version 5 and version 6. Clone or download from the AutoConnect GitHub repository. 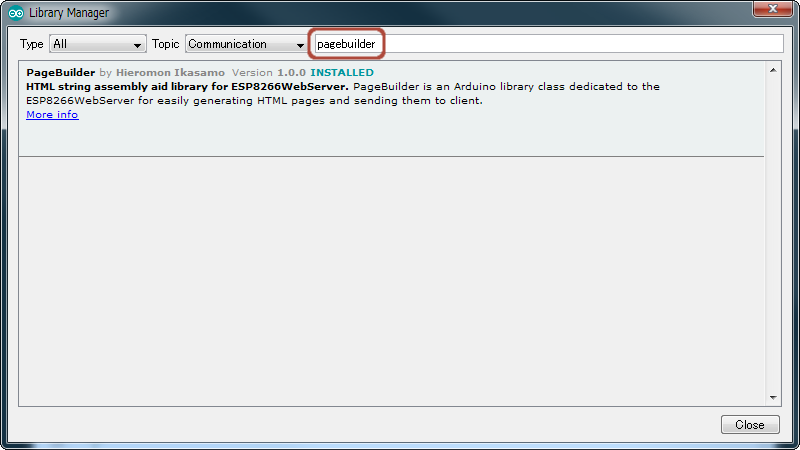 When you select Download, you can import it to Arduino IDE immediately. After downloaded, the AutoConnect-master.zip file will be saved in your download folder. 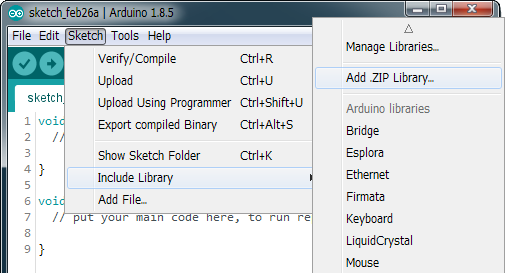 Then in the Arduino IDE, navigate to "Sketch > Include Library". At the top of the drop down list, select the option to "Add .ZIP Library...". Details for Arduino official page. AutoConnect was added to the Arduino IDE library manager. 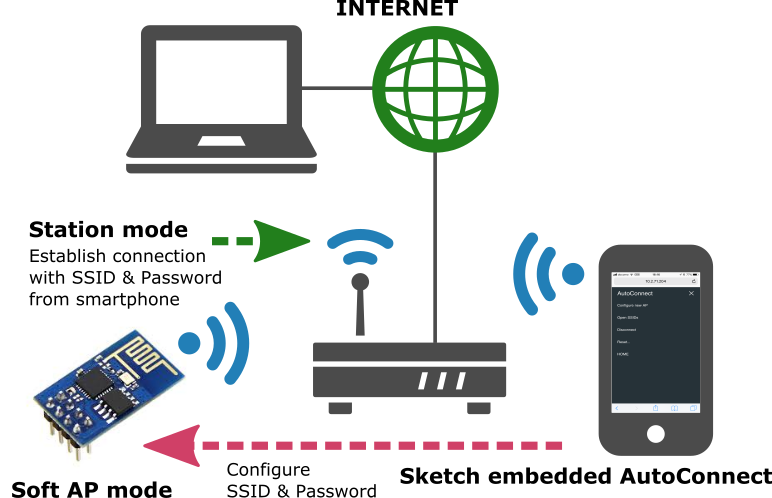 It can be used with the PlatformIO library also.